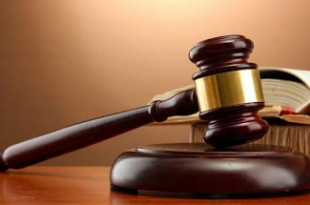 An Nyanya Customary Court in Abuja on Tuesday dissolved the 16-year marriage between a clergy man, Peter John, and his wife, Lucia, over the latter’s temperament. The court presided over by Mr. Jemilu Jega granted the request of John, ruling that the union had irretrievably collapsed. He said the court had tried everything within its powers to resolve the issues between the parties, adding that all efforts have failed. “The irreconcilable differences between the two parties showed that they are no longer compatible; therefore, the marriage is hereby dissolved,’’Jega said. He, however, gave the custody of the four children of the marriage to their mother, saying their father was often travelling as a missionary. Jega also ordered John to pay N50,000 monthly for the upkeep of the children. He also directed that John should take responsibility for the education and healthcare needs of the children. Earlier, John had told the court that his wife had bad temper and often engaged in frequent quarrels with him. He also told the court that his wife’s behaviour, apart from affecting his health negatively, had also started making him unproductive. But responding, Lucia denied all the allegations, adding that she was no longer interested in the marriage.